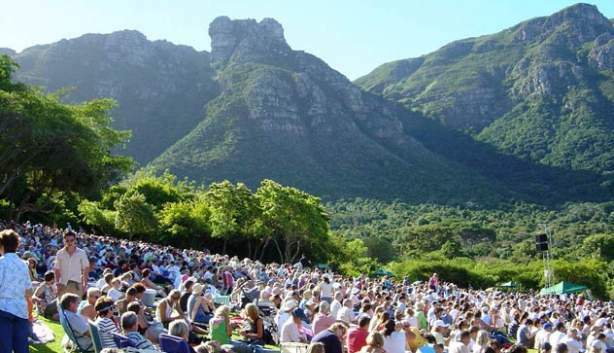 The hugely popular, and now over 20-year-old annual event, Carols by Candlelight at the Kirstenbosch National Botanical Gardens is on from Thursday 13, Friday 14, Saturday 15 and Sunday 16 December 2018. 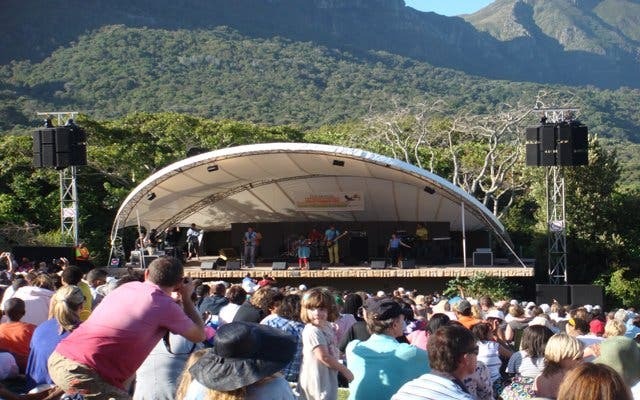 This four-night concert series is the flagship project of the Rotary Club of Kirstenbosch and forms part of the organisation’s annual fundraising efforts. While each evening boasts a line-up of well-known local acts as pre-entertainment from 5:30pm, the gates only open at 6pm for the carols session. However, if you have tickets you will be allowed to enter and visit other sites in the gardens. The show’s main attractions are the Cape Town Concert Brass and Male Voice Choir, who will perform traditional Christmas carols from approximately 7:45pm until 9:30pm. 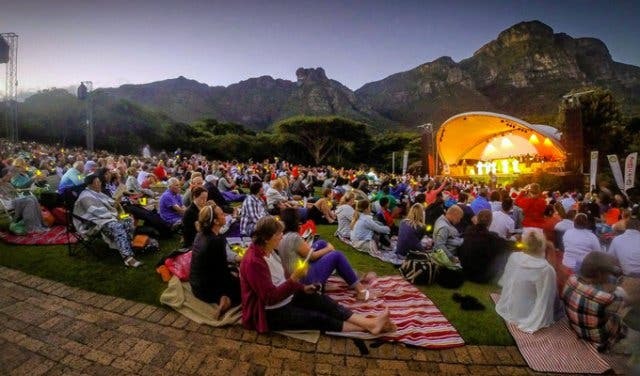 The Carols by Candlelight concert sessions are perfect for all ages and afford both visitors and locals an opportunity to not only get into the spirit of Christmas but also take in the century-old beauty of the Cape’s historical botanical gardens. 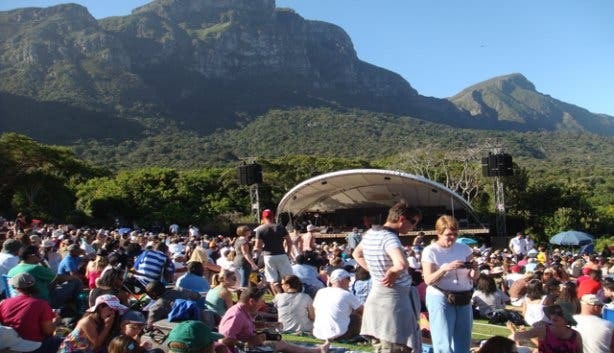 Patrons are encouraged to make the most of this occasion and get to the gardens early to pick a prime spot, enjoy a picnic dinner and take in Cape Town’s legendary summer sunsets. Book a picnic basket from Pick n Pay for R195pp including a baguette, cheeses, pates, brownies and more. Kids will be able to get a picnic basket for one which includes a juice, PnP puffs, Christmas choc-mallow and a hot dog voucher to use at the food stalls on the day. Plus there'll be such as burgers, gammon rolls and mince pies for sale. Tickets to the Carols by Candlelight concerts are only available via Webtickets.co.za and are available to purchase now. There are no discounts for students and Botanical Society members. For more information, contact the Kirstenbosch Rotary club on +27 (0) 83 270 9286 or email carols@kirstenboschrotary.co.za. 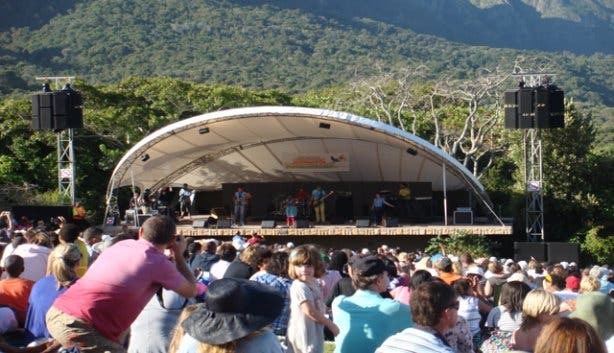 Parking is available at the Kirstenbosch Botanic Gardens’ designated parking areas as well as along Rhodes Drive. For patrons who need to sit on chairs, please position yourselves along the footpaths or in such a way so as not to obstruct others’ view. While patrons are allowed and even encouraged to bring along picnic baskets, PnP will also have a hospitality area where light snacks, cold drinks, tea, coffee and more will be available. Do note that while alcohol is allowed in the park, patrons are urged to keep all bottles and containers concealed as this is a family event. Security will monitor this and act accordingly if needed. Please keep in mind that the Kirstenbosch Botanical Gardens is a UNESCO heritage site, and thus visitors are implored to take their rubbish home to dispose of it, as there are no bins on site. Check out these popular carols to get yourself in the Christmas spirit. Cosy up at The Galileo Open Air Cinema shows at Kirstenbosch Gardens. Experience Kirstenbosch Gardens the right way with our ultimate explorer's guide. Supercharge your event? Our Events Support Programme gets results. Contact support@capetownmagazine.com or +27(0)21 422 2444.